Over the course of history, many different cocktails have gone in and out of the limelight. Some drinks become hot trends for short periods of time only, while others become mainstays on drink menus across the world. There are many drinks that evolve from one another as the creative minds of bartenders try to bring the newest and freshest ingredients into their creations. There are the cosmopolitans, gimlets, manhattans, moscow mules, old fashioneds and whiskey sours that you probably have heard as "classic cocktails" of our time. Each has made its way into and out of popularity with new and exciting twists in modern times. The next big thing that is making its way back is the Gin and Tonic. The creation of the gin and tonic came together in the mid-19th century. To ward off malaria, British sailors in the tropics were commonly prescribed a medicinal mixture of quinine derived from the bark of the cinchona tree. To take the edge off the bark’s powerfully bitter, astringent flavor, they mixed it with sugar and lime juice. In 1850s India, soldiers added the crucial variants: carbonated water to dilute the potent brew, and gin to create this signature cocktail. It was never meant to be an easy drink. The bitterness of the tonic mixed with the aromas and flavors of the juniper, coriander and the orris root give this drink its one of a kind taste. Over the course of the next 150 years, this drink did not see many major changes. The development of commercial tonic water around the 1870s, which uses a clear quinine extract rather than the dark red cinchona bark, was one of the only alterations. The drink is quite simple right? The spirit gin and tonic water. As this cocktail is reincarnated in the 21st century, it is helped in part by the rise in the breed of bitter, amari. These bitters are what makes this flavor so much different, yet keeping it all so much the same traditional classic. 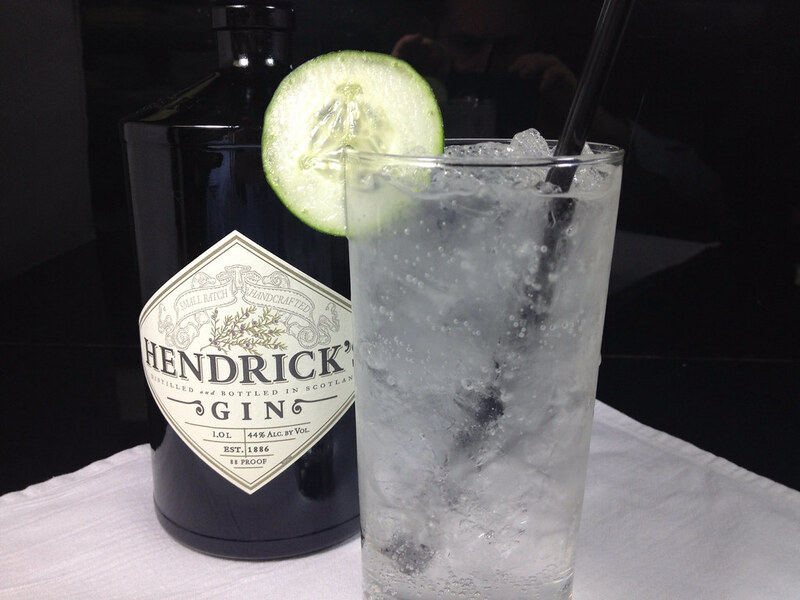 Come try this classic with one of the many gins that we offer. May I suggest Hendricks Gin, tonic and a slice of cucumber.